This trip provides the rider with a perfect combination of riding and watching the incredible Tour de France. Our trip will concentrate on the final 2 mountain stages of the Tour that will certainly decide the outcome of the event. The stage from St Jean de Maurienne to Tignes will scale the mighty Col de l'Iseran, then the Albertville to Val Thorens stage will head via the Cormet de Roselend and Cote de Longefoy on it's way to an exciting climax. As a rider on this trip you'll have the chance to both ride the routes of the these stages and well as watching the pros from your choice of vantage point. Fabulous riding and total immersion into the atmosphere of the event are guaranteed. 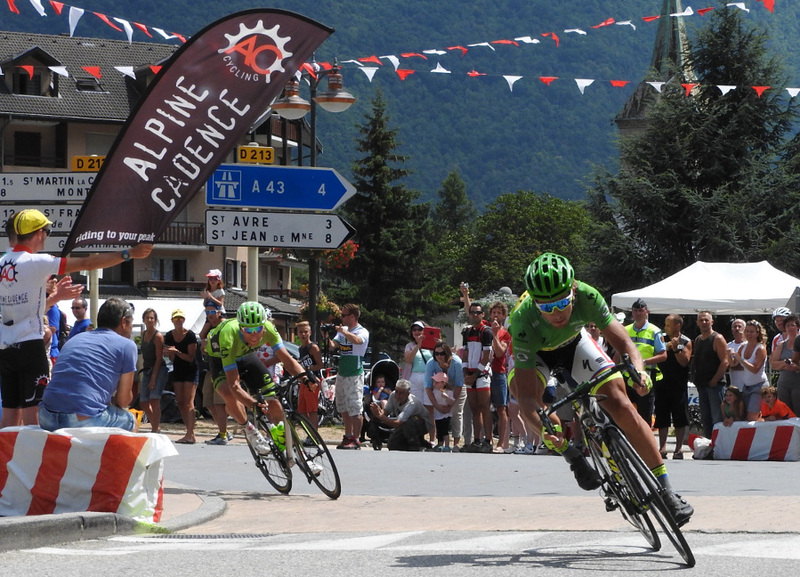 Bear in mind that from 19-22 July we'll be running our annual Etape du Tour accommodation/support package for this incredible amateur event where riders will be able to race on closed roads that pivotal stage from Albertville to Val Thorens. There is the option to put both the Etape and Tour de France trips together for a fabulous 9 night trip running 19-28 July. Flights arriving into Geneva followed by transfer to our base near Bourg St Maurice. Flight arrivals into Geneva ideally before 12.00 midday. Bike assembly, briefing and dinner to follow. These two days will be devoted to make the most out of the spectacular local climbs prior to the arrival of the Tour. Classic cols like the Cormet de Roselend and Col de la Madeleine will be among the challenges keep us busy. 3 days of riding great roads before settling down to watch the action of the Tour. Stages 18, 19 and 20 will all be in our local mountains and are going to create an exciting and pivotal climax to the Tour. Stage finishes in Valloire, Tignes and Val Thorenss will provide some amazing action to watch and we'll be riding as much of what the pro do as possible in the hours lead up to them coming through. Transfer to Geneva airport for flights leaving after 12.00 midday. Please contact us before booking any flights into or out of Geneva to determine if flight times can be accommodated for a convenient transfer. Arrivals flights on Monday 22nd July should ideally be arriving before 12.00 midday. Departing flights on Sunday 28th July should be after 12.00 midday. Please contact us if you would like to register advanced interest for this trip or if you require any more information.